I’ve always struggled with sticking to a budget and felt guilty about it. Maybe you have too. With the popularity of budgeting books, blogs, podcasts, and condescending Medium articles, it feels like everyone is maintaining a perfectly balanced budget but me. I know they’re not, but that’s how it feels. At some point in the last year, though, I realized budgeting is a huge waste of time and energy. Here I’m going to try to explain why, and what you might focus on instead. Let’s say you’re making $45,000 a year. To keep the numbers clean we’ll say you take home $36k after taxes, so $3k a month, and you’re living paycheck-to-paycheck. If you wanted to get out of the paycheck-to-paycheck life and start building some savings, the first place most people will think to focus on is budgeting. But how much of that “everything else,” including eating out, drinks, things for your apartment, your phone bill, etc. can you reasonably and sustainably cut through budgeting? Maybe $300? Saving $300 per month isn’t anything to be ashamed of, but that’s the most you can increase your monthly net worth by through budgeting. Which brings us to the first problem: Budgeting is extremely limited in its potential upside. In fact, it mostly has potential downside, because you’ll rarely save more than you expected, but you’ll frequently save less than you expected. 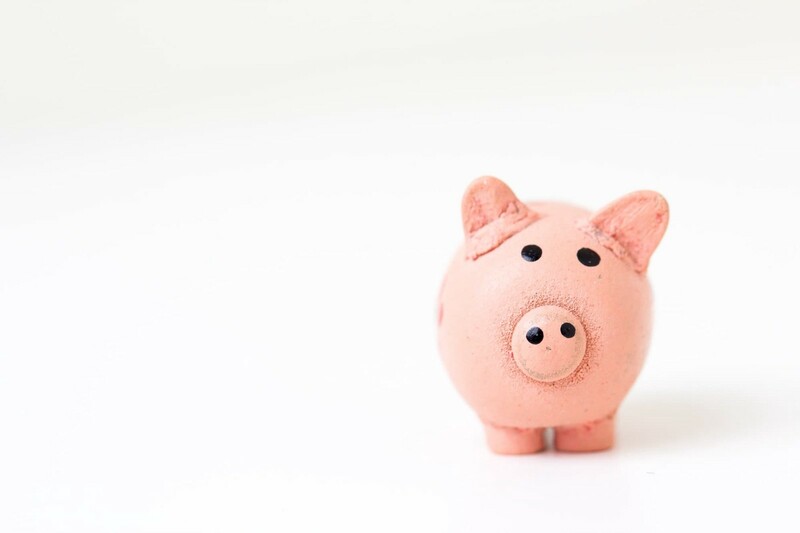 Part of the problem with budgeting is that many people equate “saving money” with “getting richer,” when saving money is just one of the ways you can increase your net worth. If you want to increase your net worth, you can either increase your cash, investments, properties, etc. (assets) or decrease the debt you owe (liabilities). If you’re increasing your net worth by investing in the stock market, adding to your 401k, paying off credit card debt, or buying a house, you need cash. If you’re increasing your net worth by building a business, refurbishing your home, developing new skills (yes, that counts), you need time. To increase your net worth faster, you need more cash, more productive time, or a better ROI on what you’re putting that cash and time towards. Budgeting is popular because most people think all they have is the first lever. If you work a normal 9–5 or hourly job, your only source of income is your paycheck. You don’t have much ability to increase your cash flow, don’t have any utility to getting more productive time (because what would you put it towards), and your best ROI is probably index funds. From that mindset, budgeting makes a lot of sense. The only thing you think to focus on is the “more cash” lever, and since you have limited control over the amount coming in at the top of the funnel, you have to focus on the amount getting lost throughout the rest of the funnel. But budgeting is extremely limited in its ability to move the “more cash” needle. There’s an upper bound to how much you can save (your take home pay minus your fixed costs). Worse, budgeting tends to eat into your “more productive time” lever. Any effort to cut costs usually means spending some of your time instead, which is time you can’t put towards other efforts to increase your net worth. On top of that, the obvious places to cut your costs: food, exercise, leisure, all contribute to your ability to be efficient and effective during your productive time. Getting cheaper food might seem like a good tradeoff, but not if it means you’re no longer performing at your best during the day. For anyone who’s earning money for some kind of skilled labor (and even if you’re not, though it’s harder) there are better places to focus your than budgeting if you want to increase your net worth. Meticulous budgeting is a waste of time, but it’s worth your time to set up a few autopilot savings systems. At a bare minimum, automate your credit card payments, set up 401k auto-deductions to the amount your employer matches, and then set up an auto-saving bank account like Digit. If you’re making a bit more money, you could also increase your deductions to max out your 401k, and max out your IRA through a service like Wealthfront. The only other thing I do besides that is look at my net worth and transaction history every week through Personal Capital. I find that just by keeping an eye on where my money is going, I naturally adjust my spending habits. For most people, you go to work and while you’re working you’re making money, and then when you go home you’re no longer making money. This is where some arguments against budgeting fail. “Trading time for money” is only a bad idea if the time you’re trading can be used to make money. But if as soon as you get home you have no way to make money, then you’re not really trading productive time for money since that time wasn’t usable anyway. Once your basic financial automations are set up, your next goal needs to be making your currently unproductive “non-work time” productive. The best way to do this is through some form of passive income. That could be anything from investments, to real estate, to affiliate programs, to small products. This site generates income from at least a dozen sources, most of it passively. But getting good passive income is hard and usually not the best place to start if you want to make your unproductive time productive. The easiest way to start is through some form of freelancing. When I started down this path a bit over four years ago, I was writing articles for startup blogs like Zapier for $150 / piece. At one article per week, that was an extra $600 per month, double the imagined $300 from before. Writing articles takes more time and energy than not spending money, but this brings up another problem with budgeting: saving money doesn’t feel that great, but making extra money feels awesome. You get much more satisfaction out of seeing an extra $100 hit your bank account for something you did than you get from not spending $100. On top of that, any amount of time you’re spending on doing something productive with your formerly unproductive time should be increasing your future earning potential. As long as you’re doing creative work, and not breaking rocks, the more time you put towards this side hustle the more you’ll be able to earn from it. Turning your unproductive time productive is only the first step, though. Next you need to increase the ROI of your newly productive time. This is where making your unproductive time productive starts to really beat out the budgeting mindset: the ability to radically increase your income. If you’re a good freelance writer, there’s no reason you can’t go from ~$50 an article to ~$150 an article within a year. If you have a steady stream of writing clients (like by working with Growth Machine), you could be getting 10–20 articles per month for an extra $1,500 — $3,000. Or, if you get to the point where you’re taking on so many writing clients that you can make your money mostly by managing and organizing other writers, your potential earnings keep going up. Any kind of passive income dramatically increases this number, too. You can increase your ROI by increasing the amount of money you earn, but also by reducing the amount of time you spend. This is part of why virtual assistants and local outsourcing can be so helpful, even if you’re not building a business. Once you’re able to use your time productively to make X amount of money, it doesn’t make sense to use that time to save any amount less than X. Eventually as you pursue this non-budgeting process you’ll reach the point where you’re actively anti-budgeting: spending money you would have budgeted in order to increase your earning potential. For example: grocery delivery. Instacart Express costs $100 a year for unlimited free deliveries. If you get groceries every two weeks, you’re paying about $4 per delivery, to save yourself the time of going to the grocery store. If you can use the hour you would have spent grocery shopping on making any amount more than $4, then getting Instacart Express makes sense. And even if you’re doing gigs on Fiverr you can make more than $4 an hour. This is how you can move your life more and more in the direction of getting to focus all your time and energy on things you care about. As your ability to take advantage of the time you have available to you goes up, you’ll be able to get rid of more and more of the daily chores and tasks you’re doing to try to save money. Because eventually, you’re losing money by doing chores. And as the process continues, you can get more and more money for your productive time and continue reducing out the non-essential things you don’t want to do in order to free up more productive time for the things you do want to do.